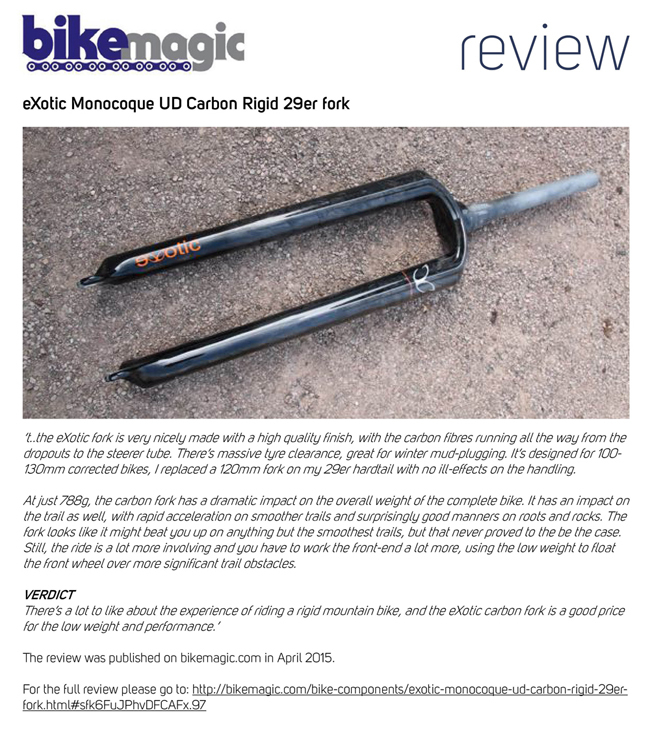 Check out the latest review of our Carbon Monocoque fork on Bikemagic.com. The tester loved the low weight, rapid acceleration on smoother trails and surprisingly good manners on roots and rocks. Luckily we offer super affordable carbon steerer plug as well as hose guides - perfect! Read the full review on Bikemagic.com.